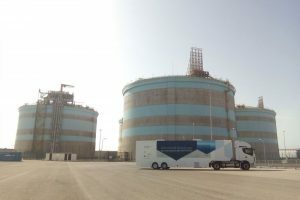 The semi-trailer created ad hoc for the activity “LNG social acceptance” driven by a LNG tractor head given by Iveco free of charge to Enagás started on April 19 in Madrid. The objective of this initiative is to promote social acceptance of LNG and its benefits as part of the CORE LNGas hive project, co-financed by the European Commission, which is coordinated by Enagás with the leadership of Puertos del Estado. 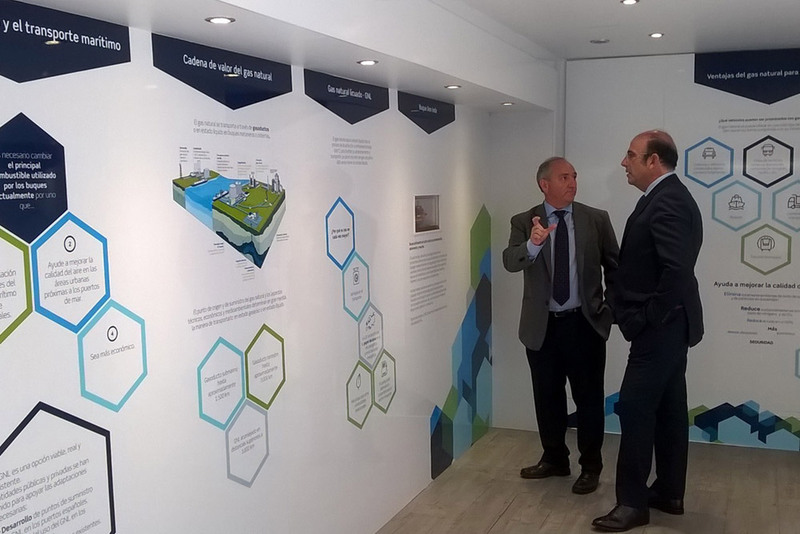 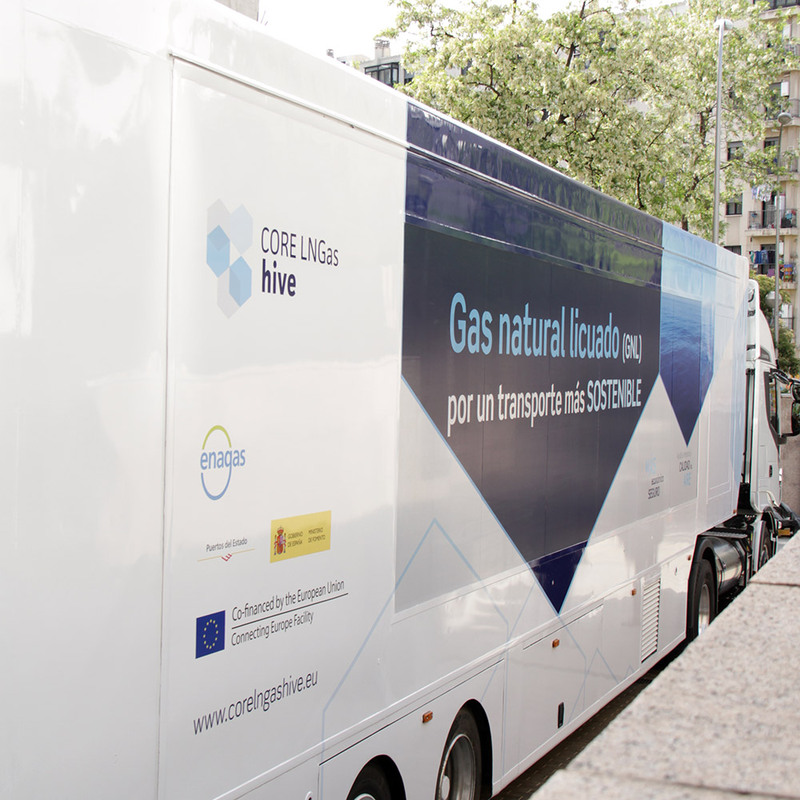 This initiative is implemented through a mobile exhibition that explains the use of LNG as fuel for transport, especially maritime, for six months throughout Spain and Portugal. All 42 partners of the project are involved.